The barefoot story began around 18 months previously. The owner’s daughter was struggling at home with an 11hand laminitic pony. 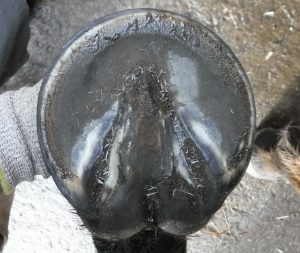 After a lot of research, a Facebook appeal for an Equine Podiatrist resulted in finding an EP who visited, trimmed, photographed and most importantly talked, explained and involved the owner and her daughter in the process. The difference in the pony as the months progressed was incredible. 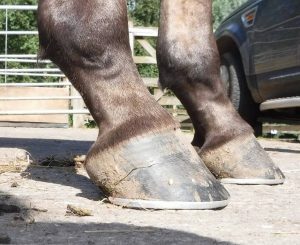 In august 2017, the Thoroughbred then came home for his summer holiday where his shoes were removed by the EP. 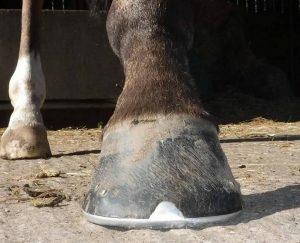 He went back into training and the EP continued to look after his feet. 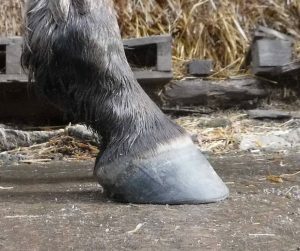 His previously good feet, became exceptional feet and after a lot of discussions, and investigation into the rules of racing, the decision to keep him barefoot whilst racing on the All Weather tracks was made. A nervous trip to Wolverhampton in December ’17 with the EP accompanying the small, but passionate team resulted in a very successful first outing. Not in the winners enclosure but a very sure footed race run without a hic-up. A couple more races followed with his feet remaining healthy, strong, balanced and coping with his working environment’s surfaces. 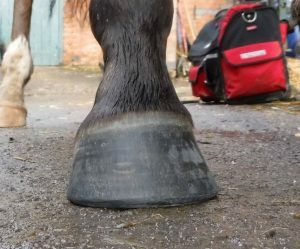 To enhance this natural experience a lot of turnout with a diet adjusted to keep up his performance levels whilst still being suitable for his now natural feet. 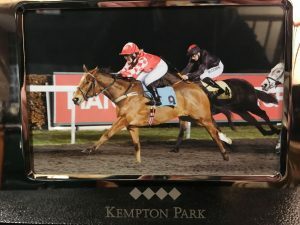 To Kempton he went, with the EP watching online, he crossed the finish line in first place – ears pricked, feeling well – his first win having had 30 races and his jockey’s first win. 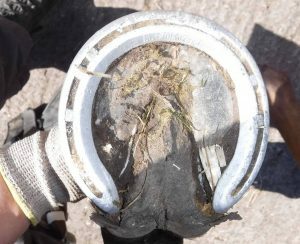 A shining example of a rare barefoot racehorse and proud to say a barefoot ‘winning’ racehorse.